Wrapping up appropriations. Currently, five of the twelve regular appropriations bills have been funded for fiscal year 2019 — but seven remain. 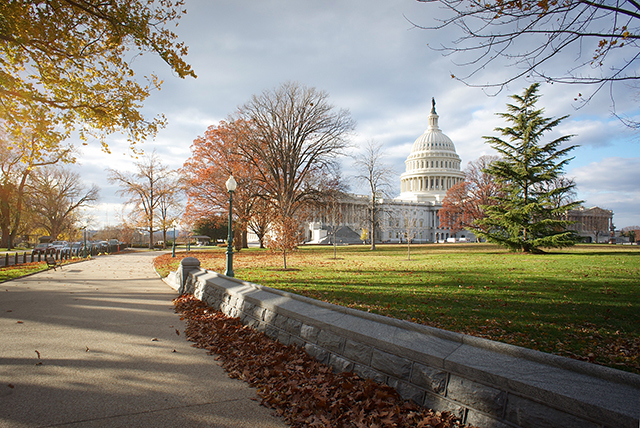 On September 21, Congress passed a continuing resolution that is set to expire on December 7. If lawmakers can’t agree on the remaining appropriation bills by then, they will need to pass yet another continuing resolution — or risk a partial government shutdown. They may also choose to enact funding for disaster relief from hurricanes and wildfires. Budget reform. The Joint Select Committee on Budget and Appropriations Process Reform must present recommendations by November 30, but there is no requirement that the Congress vote on them before adjourning. Although there is broad agreement on the need for budget reform, recent reports indicate that the committee has scaled back its recommendations, perhaps only proposing a shift to biennial budgeting. Tax Cuts 2.0. Back in September, the House passed another round of tax cuts, including a provision that would make permanent the reductions for individual taxpayers in the Tax Cuts and Jobs Act. The House proposal would further increase the deficit since the provisions would not be offset; however, it looks unlikely that the Senate will act on the legislation during the lame-duck session. In addition, certain “tax extenders” expired at the end of December 2017 and may be considered for renewal before the end of this year. The debt ceiling. In September 2017, Congress suspended the debt limit through March 1, 2019. If the limit has not been addressed by that point, the Treasury Department will have to implement so-called “extraordinary measures” to pay the government’s bills and avoid a fiscal crisis. The Bipartisan Policy Center estimates that those measures will be exhausted sometime in the summer of 2019. 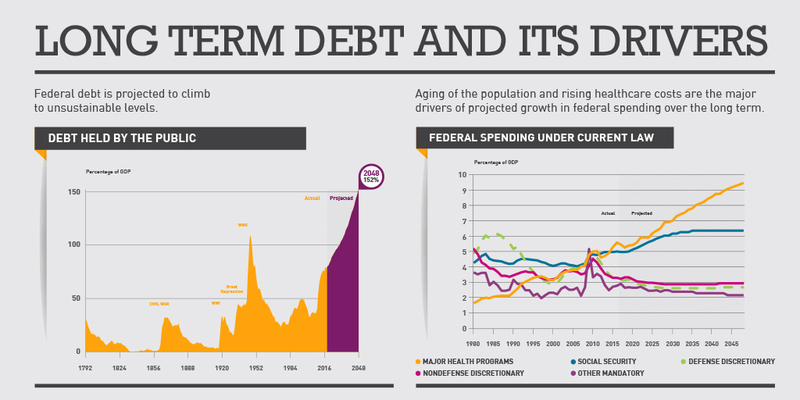 Not raising the debt limit can have serious consequences for both the federal government and the economy at large. Infrastructure needs. Both Republicans and Democrats have expressed an interest in dealing with the nation’s deteriorating roads, bridges, water systems, and other infrastructure needs. The President’s fiscal year 2019 budget addressed this issue, but it hasn’t yet progressed in the Congress. Prescription Drug Costs. Spending on prescription drugs is one of the fastest growing components of healthcare costs — since 1980, such costs have doubled as a share of total healthcare spending. The next Congress has the opportunity to tackle this rapidly growing component of healthcare costs, both for Medicare as well as for the sector as a whole. More tax changes? Before the midterm elections, President Trump floated the idea of a middle-class tax cut. Representative Richard Neal (D-MA), who is expected to take over as the chairman of the House Ways and Means Committee, has said he is willing to consider such a tax cut if adjustments are made to the rates for top income earners. President Trump has also proposed that capital gains taxes be adjusted for inflation, a change that the Tax Policy Center has estimated could increase the national debt by $20 billion per year. Rising deficits and debt. The nation was already on a fiscally unsustainable path, but that trajectory was exacerbated over the past year by the Tax Cuts and Jobs Act, which took a big bite out of corporate tax revenues in fiscal year 2018, as well as by the increase in spending on appropriations. The deficit for the year hit $779 billion — the highest since 2012, when the country was still recovering from the Great Recession — and the CBO projects that fiscal year 2019 may mark the return to trillion-dollar deficits. 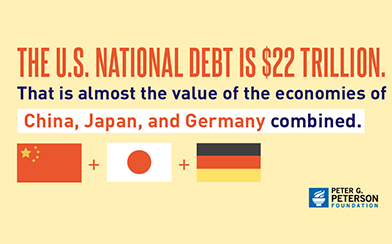 The International Monetary Fund has warned that these unsustainable debt levels put both the U.S. and world economy at risk. This last point is the most essential, as all other policy decisions could affect the country’s already worrisome fiscal outlook. Furthermore, voters from both parties have identified rising debt and deficits as a priority for the incoming Congress.